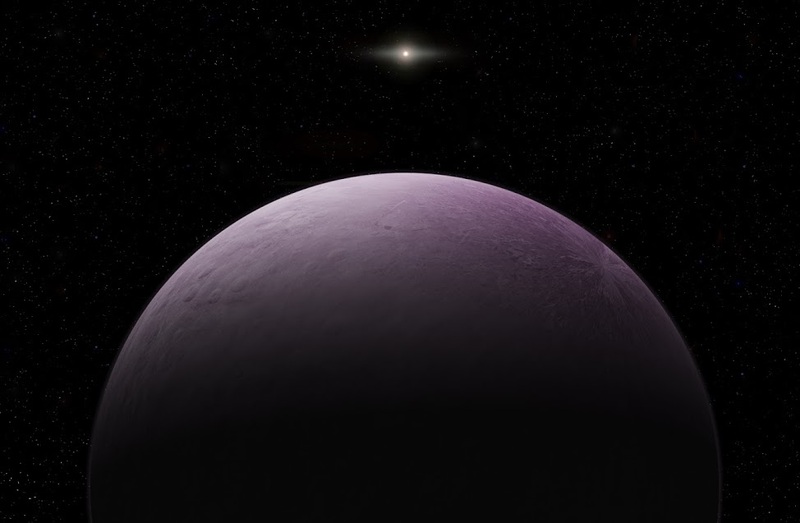 Astronomers say they’ve discovered the most distant body ever observed in our solar system, a potential dwarf planet that’s about 11 billion miles from the sun. The far-out object — which is also known by its more official but less colorful designation, 2018 VG18 — was detected with Japan’s 8-meter Subaru Telescope in Hawaii during a campaign to look for extremely distant solar system objects, including a hypothetical Planet X or Planet Nine. Further observations to confirm Farout’s distance and determine its brightness and color were made with the 6.5-meter Magellan Telescopes at the Carnegie Institution for Science’s Las Campanas Observatory in Chile. The observations were reported today in a circular distributed by the International Astronomical Union’s Minor Planet Center. This entry was posted in GeekWire and tagged Dwarf Planets, Planet Nine, Planet X, Solar System, Space. Bookmark the permalink.